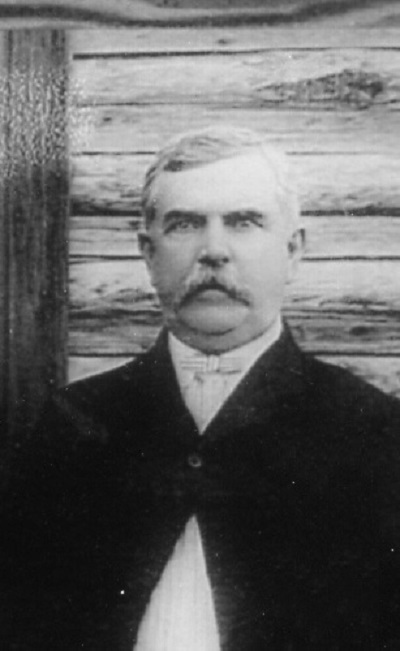 Lacy Elias Lastinger was the son of William Lastinger who was a prominent citizen of Berrien County (later Lanier) and founder of Lastinger Mill in Milltown, GA (now Lakeland). 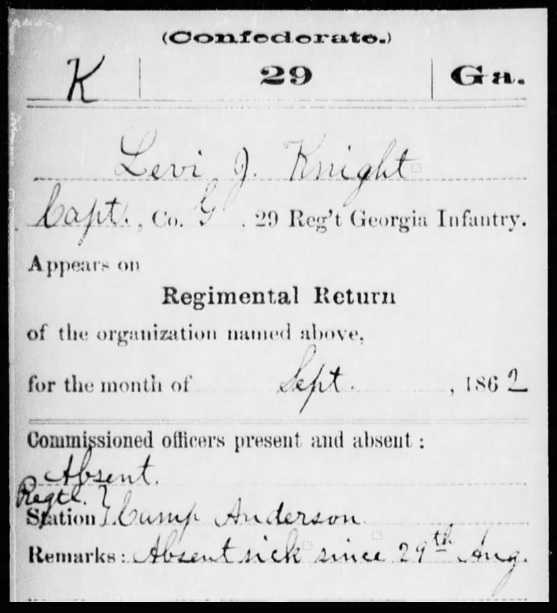 During the Civil War L. E. Lastinger was in the 29th Georgia Regiment along with General Levi J. Knight and the man referred to as Levi J. Knight, Jr., both whom were Lastinger’s lifelong associates. After the war L.E. 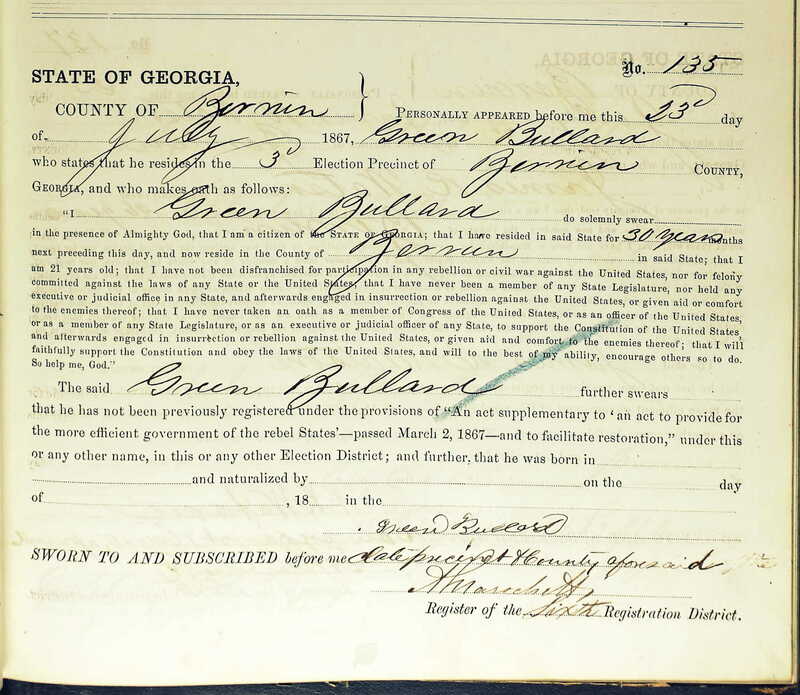 Lastinger became a sort of historian of the Berrien Minutemen (Companies G & K, 29th GA Regiment). He served as the adjutant of the Dixie Camp, United Confederate Veterans, Nashville, Georgia. 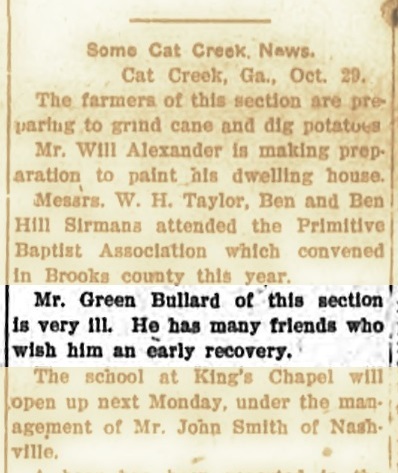 L. E. Lastinger wrote about the good and the bad of the Berrien Minutemen. 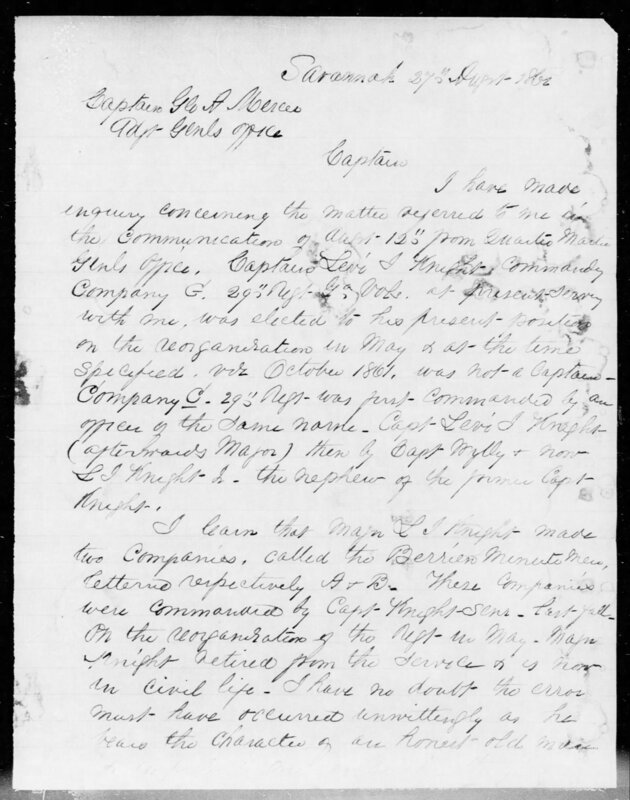 He wrote about the part he played in the execution of ‘Old Yaller’ whose death sentence was imposed for the charge of desertion, an account of which was the subject of an earlier post (see Berrien Minute Men and Civil War Stories). 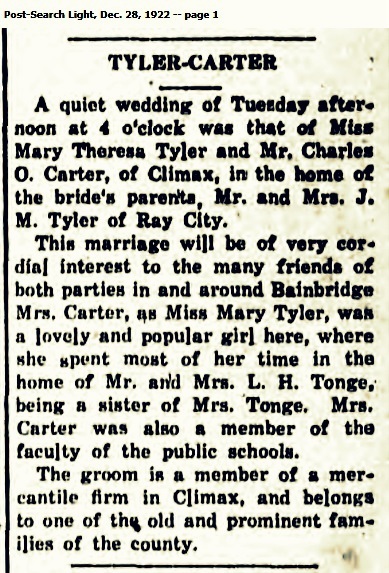 Here is Lastinger’s account of the event, published March, 1909 in Watson’s Jeffersonian Magazine. 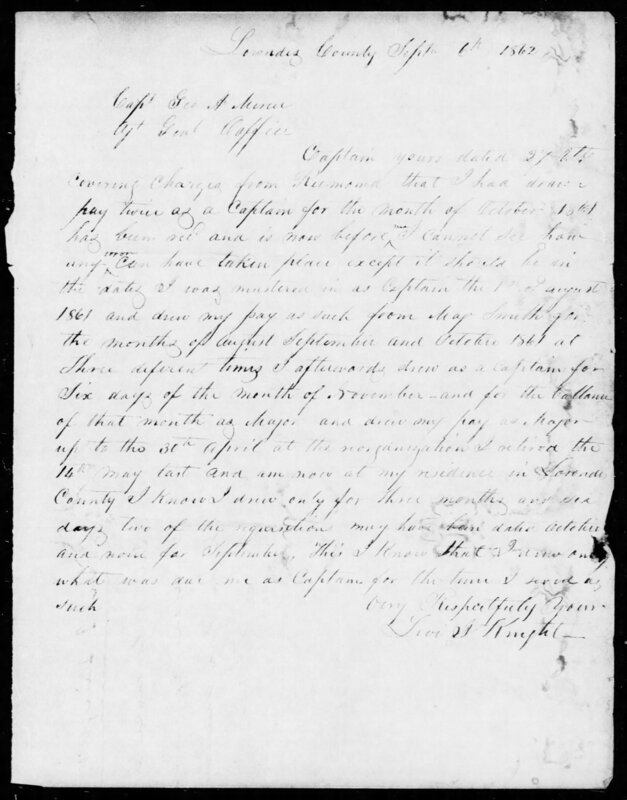 In the January number of The Jeffersonian, under the head of “A Victim of Military Discipline,” the author gives an account of the execution of Elbert J. Chapman, who belonged to Co. K, 29th Ga. Regt. 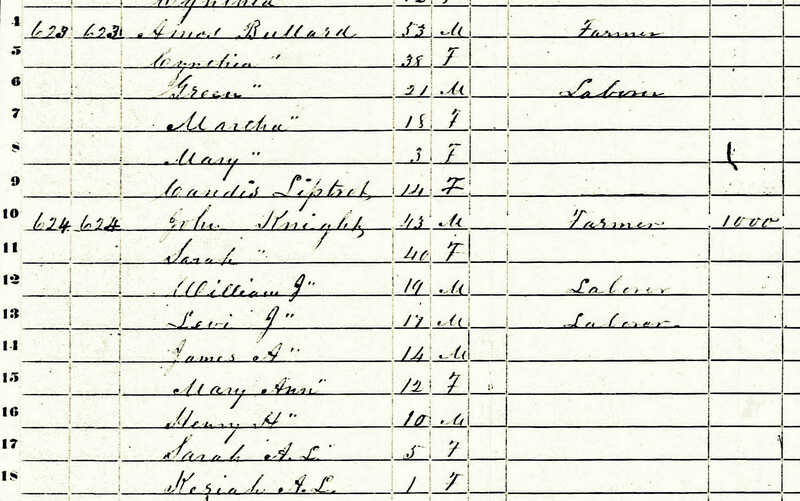 Chapman named himself “Old Yaller,” and by this name was generally known. 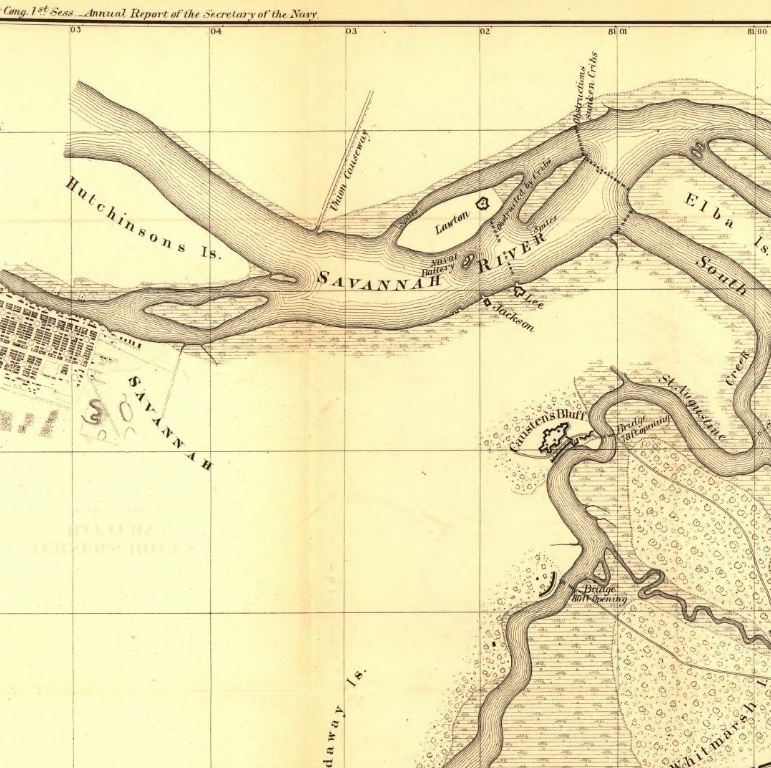 His regiment was stationed at “Camp Young,” near Savannah. Chapman was confined in the guard house, as a punishment for some misbehavior, from which he made his escape. He went to his home, near Mill Town, in Berrien county. He claimed he was sick and coud not get well in the guard house and went home to recuperate, intending to return to his command when he got able. This he failed to do. Our brigade, under command of Col. Wilson, of the 25th Ga. 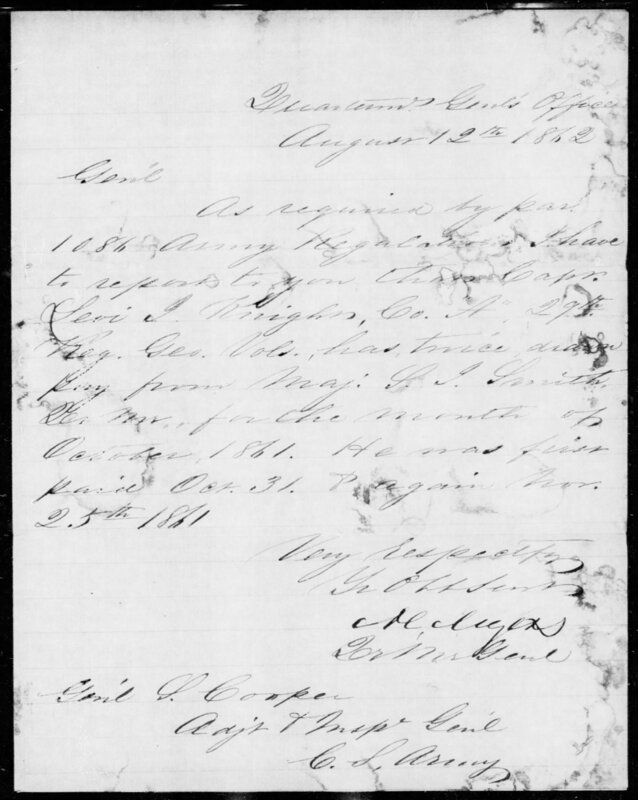 Regt., went West to join the Army of the Mississippi. 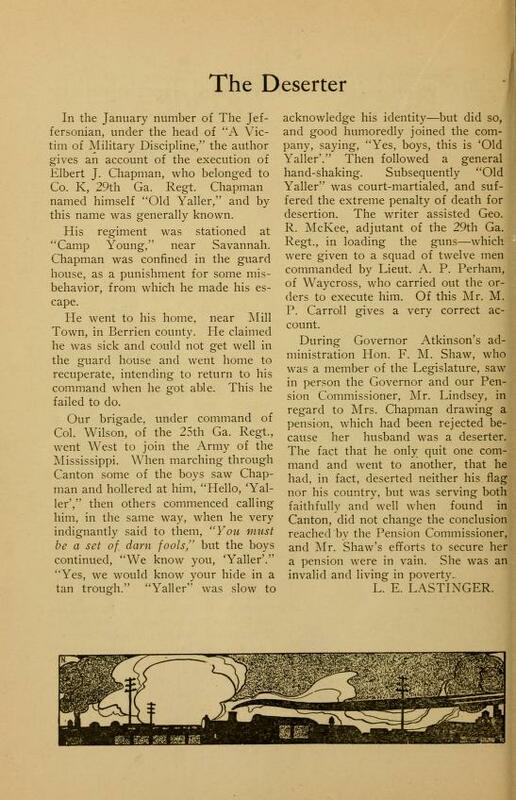 When marching through Canton some of the boys saw Chapman and hollered at him, “Hello, ‘Yaller’,” then others commenced calling him, in the same way, when he very indignantly said to them, “You must be a set of darn fools,” but the boys continued, “We know you, ‘Yaller’.” “Yes, we would know your hide in a tan trough.” “Yaller” was slow to acknowledge his identity – but did so, and good humoredly joined the company, saying, “Yes, boys, this is ‘Old Yaller’.” Then followed a general hand-shaking. Subsequently “Old Yaller” was court-martialed, and suffered the extreme penalty of death for desertion. The writer assisted Geo. 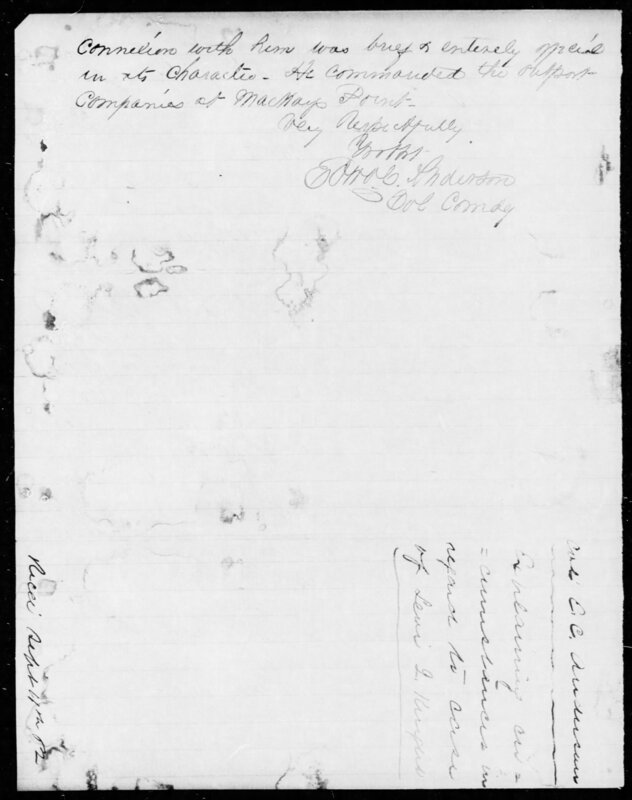 R. McKee, adjutant of the 29th Ga. Regt., in loading the guns – which were given to a squad of twelve men commanded by Lieut. A.P. Perham, of Waycross, who carried out the orders to execute him. Of this Mr. M. P. Carroll gives a very correct account. During Governor Atkinson’s administration Hon. 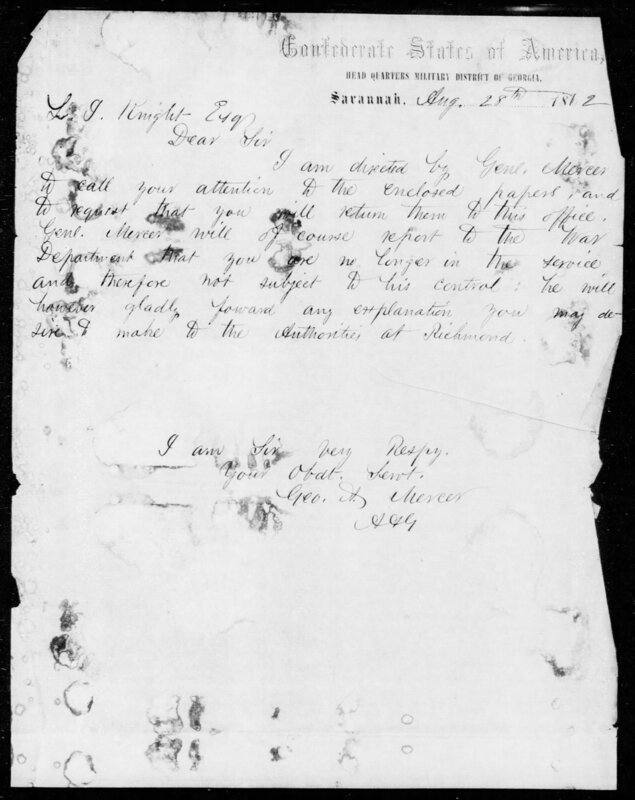 F. M. Shaw, who was a member of the Legislature, saw in person the Governor and our Pension Commissioner, Mr. Lindsey, in regard to Mrs. Chapman drawing a pension, which had been rejected because her husband was a deserter. 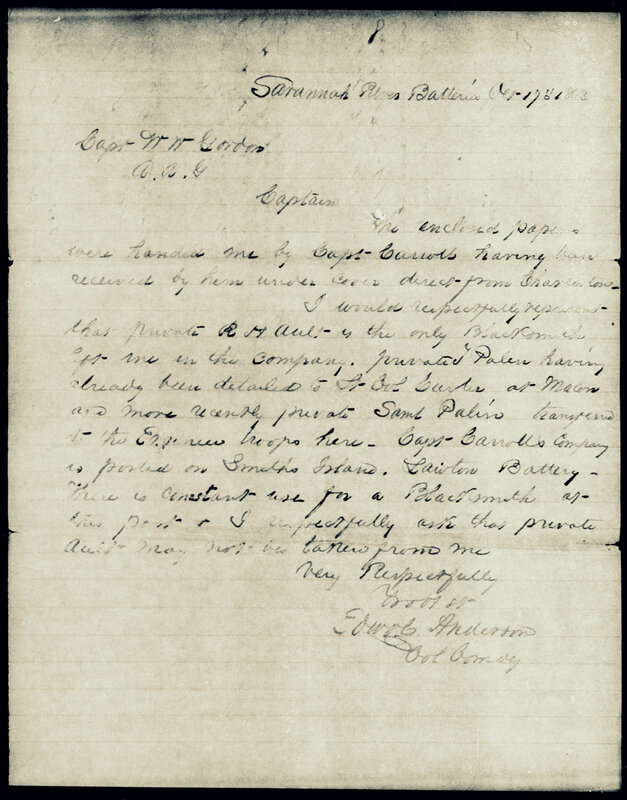 The fact that he only quit one command and went to another, that he had, in fact, deserted neither his flag nor his country, but was serving both faithfully and well when found in Canton, did not change the conclusion reached by the Pension Commissioner, and Mr. Shaw’s efforts to secure her a pension were in vain. She was an invalid and living in poverty. In 1929 L .E. Lastinger was the last surviving member of Company K, 29th Georgia Regiment. 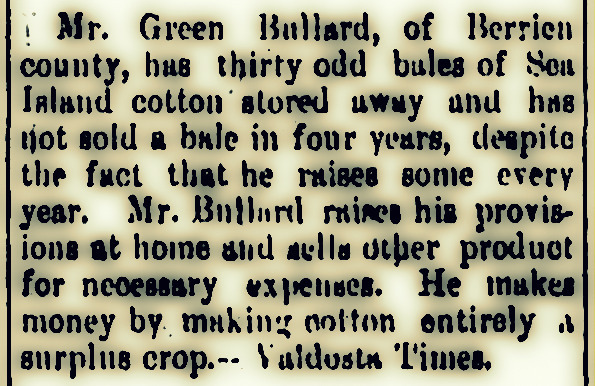 He published a pamphlet entitled The Confederate War: A compilation of the Confederate Soldiers going forth from Berrien County, Georgia. When they enlisted — and whether or not they survived the war. A reprint of this text is on file at the Ray City Community Library, Ray City, Berrien County, Georgia. 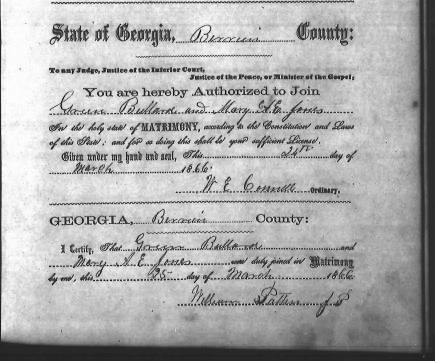 It is in this publication that he provides a brief account of the Berrien Minutemen, along with entries on General Levi J. Knight and Levi J. Knight, “Junior,” who both did stints as Captain of Company “G”, 29th Georgia Regiment. In the next post we examine Lastinger’s account of the Berrien Minutemen and the two Captains Knight.